It was an email I look forward to getting regularly and one I rarely, if ever delete without consuming. Most often this email is more than just a “good read”, it’s an email that instigates deep thought, introspection and in some cases a change or modified plan of action. What’s the type of practice most chiropractors are operating? If we’re honest (and I’ve seen the stats time and time again to prove it), most of the profession is aiming to see as many new patients as absolutely possible. Now that’s not a bad thing if you have the infrastructure to keep them and deliver an exceptional experience. Unfortunately, in most cases that’s absolutely not what’s happening! The majority NEED as many new patients as possible to make up for the lack of retention, the dilution of their fees and ongoing devaluation of their care process. 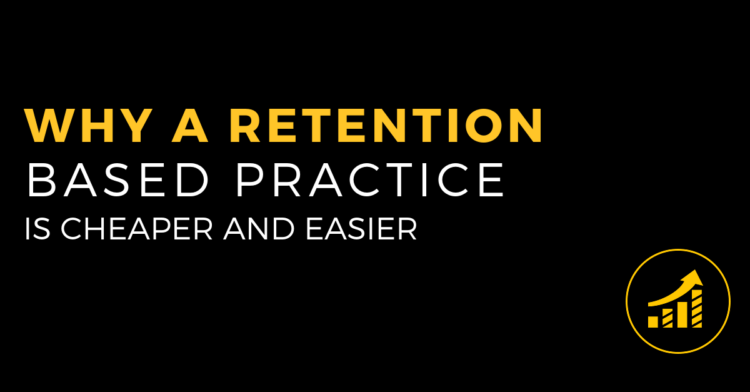 Retention seems harder until you know more about what it takes to build and grow a RETENTION BASED PRACTICE. Once you get past the scary unknown and accept what you’re currently doing is unsustainable and tiring… (not to mention stressful and less profitable!) you can begin the transition to an easier, less expensive and far more profitable and enjoyable model. On this episode of Life By Design For Chiropractors we talk about why the Retention Based Practice is the way to go and how you can get started moving towards the “light”.